Yesterday, as Manchester United romped to a 3-0 victory, at Craven Cottage, against a very poor Fulham side, the introduction of one player brought a huge cheer from the beleaguered Fulham support. That player was Ryan Sessegnon, a talented 18-year-old left-sided player who, last season, played a huge part in Fulham’s successful promotional campaign. However, for one reason or another, Sessegnon hasn’t been given the playing time he expected in the Premier League. To that effect, it looks increasingly likely that the teenager might be tempted to leave the club if the right offer were to come in. 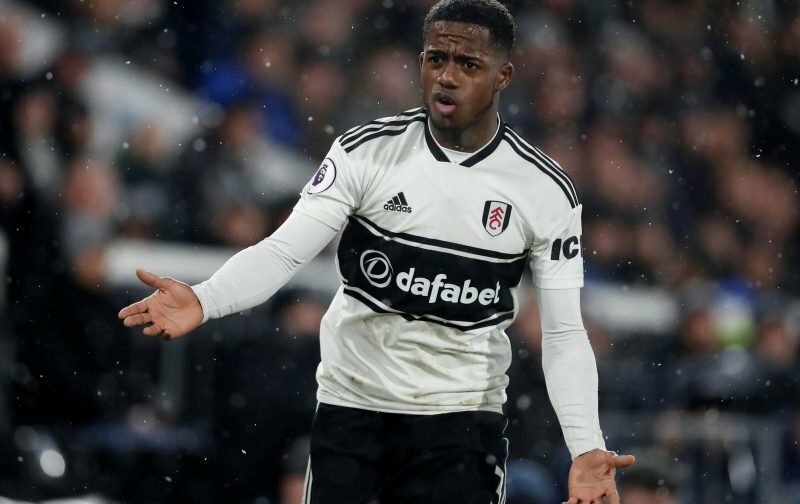 Last season, the grapevine inferred that a move across London, to Tottenham Hotspur, might be on the cards, but nothing came of it, with Sessegnon pledging his future to Fulham. Today, the news source, the Express, are reporting that Manchester United are set to test Fulham’s resolve to keep the player by making a £50 million bid, this summer. Here at Vital Manchester United, such a move would get our approval, Sessegnon has a great future in the game and was mentioned, last season, as a possible surprise inclusion in Gareth Southgate’s World Cup squad, something that, in the end, didn’t happen. The big question being is whether Fulham would be prepared to a deal.